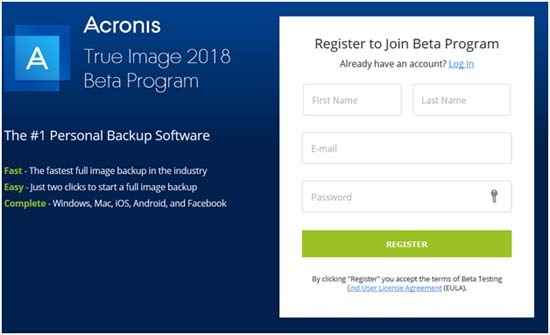 So what is new on 2018 Acronis True Image? -Faster file and system recovery, including an enabled WAN optimization. -Entirely new backup activity and statistics. -A completely new active protection dashboard. -Other improvements such as; availability of mobile devices in the backup source list. Availability of backup shortcut menu with the use of right-click. Application Window blurring feature for the progress bar. 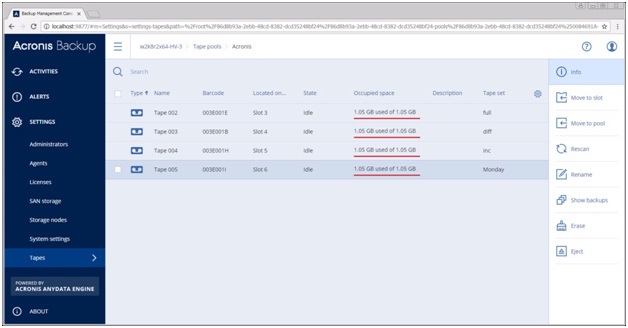 The inclusion of a search dialog to help in resolving backup issues. -Ability to fix different issues with the ability to move backup from password-protected network to a local drive or another share option. - Supports Mac OS options such as; Mac OS Sierra 10.12, OS X El Capitan 10.11, and OS X Yosemite10.10. Also supports Windows OS, including Windows 7 SP1, 8, 8.1, and Windows 10(32-bit, and 64-bit). - 100% full backup- This provides the ability to produce an exact replica of either a complete disk or a selected partition, in order to ensure fast recovery. - Disc cloning - With this feature, you can easily migrate an operating system settings, or programs and all other forms of files and data, from one disk to a faster and larger disk. - Mobile data protection feature- With the cloud protection option from Acronis, you can backup your photos, videos, reminders, contacts, and calendar appointments. - Cloud backup and Facebook backup- Protecting your data in the cloud where it will always be available is important because the data can be retrieved, anywhere you go. The 2017 Acronis True Image guarantees this service. Facebook backup will ensure that even the items you deleted accidentally from your Facebook profile will remained stored, hence there is no need to worry about erased photos, videos and other contents. - Premium packages available on 2017 Acronis True Image include; Ransomware protection, File certification, and E-Signature support. With Ransomware protection, your data will be protected from encryption offered through the Acronis active protection for Windows devices. File certification makes use of Acronis Notary to ensure provide authenticity of your files and folder through the use of block-chain technology. The E-signature support will keep the audit trails of all electronically signed documents within the Acronis Sign. - The 2017 Acronis True Image is available in three different categories, these are; Essential ($34.99), The Plus ($39.99), and the Premium ($59.99). The Essential package is a one-time subscription per computer and it provides the basic features for the desktop and mobile backups. You need an add-on to get access to cloud storage on this subscription. The Plus package subscription per computer include Cloud storage, Facebook backup, phone support as well as free upgrades. The premium package goes for $59.99 per computer and per year. This package includes all tools needed for ransomware protection, file certification and electronic signatures. The 2018 Acronis True Image will provide the much needed expansion in the disc storage space, especially for medium and large businesses that are constantly expanding. The backup system also comes with the usual protection options that are found in the 2017 Acronis True Image, these are; Ransomware protection, File certification, and E-Signature support. The Ransomware protection has been upgraded to detect newly released Ransomware that seem to be causing recent challenges around the world- these are ransomware that are encrypted and used to extort money from the victims before the Ransomware are eliminated. The E-signature is a special protection service offered to each Acronis 2018 True Image user and it is designed to ensure a second layer of protection on your data, and files. Without the signature, nobody can access your data and files remotely, and you are the only one who authorizes access to such sensitive data.